We headed to the Sunday Herald Culture Awards last week and are completely blown away to have won the One to Watch Award! It was cool to see other booky folks win, from the Scottish Storytelling Centre to Wigtown Book Festival. Lit scene represent! That week marked two years since we registered 404 Ink and thought 'Let's see how we go', so it was a great birthday present as we enter the terrible twos. You can read more on the event at the Sunday Herald. We feel like we're repeating ourselves a lot lately, but we never expected to receive any awards, let alone ones such as this. We'll keep on keepin' on with the hope of proving ourselves worthy of these accolades, and worth watching. Announcing FOR EVERY ONE by Jason Reynolds! Earlier this year we met the wonderful folks at Knights Of and have been chatting back and forth and having meetings in the sun (one which featured a pram full of chihuahuas no less) over a very brilliant project, which we're excited to announce today! 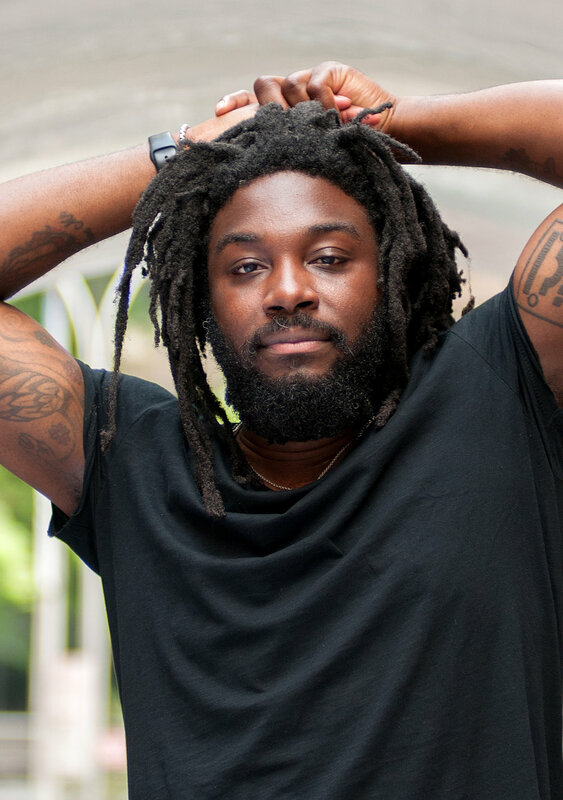 We've partnered with Knights Of to publish For Every One by New York Times bestselling author Jason Reynolds! The book will be published in a special gift format and illustrated by award-winning London artist Yinka Ilori. It's out in October and available for pre-order NOW. For Every One is just that: for every one. For every one person. For every one dream. Jason does not claim to know how to make dreams come true; he has, in fact, been fighting on the front line of his own battle to make his own dreams a reality. He expected to make it when he was sixteen. Then eighteen. Then twenty-five. Now, some of those expectations have been realised. Jason Reynolds is an Edgar Award Young Adult winner, New York Times bestselling author, a Newbery Award Honoree, a Printz Award Honoree, National Book Award Honoree, a Kirkus Award winner, a two time Walter Dean Myers Award winner, an NAACP Image Award Winner and the recipient of multiple Coretta Scott King honours. The American Booksellers Association’s 2017 spokesperson for Indies First, his many books include Long Way Down, Boy in the Black Suit and the Track series. PRE-ORDER FOR EVERY ONE TODAY! ‘The origins of this book are rooted in my feeling of failure and self-doubt. I started writing it after I quit chasing my dream of writing. And over the course of three years while penning this, it became clear to me that the gift is in the dream itself, not necessarily in the fruition of said dream. The courage it takes to have a dream . . . is the actual freedom of it all.’ - Jason. 404 Ink win Scottish EDGE grant! We are bloody delighted to announce that 404 Ink is the first ever publisher to receive a Scottish EDGE award. We received one of their Young EDGE grants, receiving £10,000 to help grow the company in the coming years. The Scottish Edge Awards, which on June 14th announced almost £1m of grants at the RBS Headquarters in Gogarburn, aims to identify and support the most promising entrepreneurs and start-up businesses in Scotland and support them on their growth journey. Winners include Cytochroma, which generates stem cell derived liver cells that model human physiology; Cearban Ltd, who offer experiences swimming with basking sharks around the Inner Hebrides, and Tipsy Unicorn Sweets, who use natural ingredients to create sweets, including their Rock Rose Gin and Tonic Jelly range. We are chuffed to be able to represent books at this level. Feedback from the judges praised 404’s ‘impressive sales’ and noted that they ‘can see them achieving a lot more than they have forecast’, adding that 404 has a fresh and enthusiastic team, and had good focus on disruption and trends of the book industry. We run 404 from our spare rooms. It's been an amazing few months focusing in on where we want to go next, and to receive the support of something to prestigious. Already we've been overwhelmed with support from various organisations, and can't wait to see what happens next! It's Summer 2018. That means it's time to unveil: ISSUE 4 OF 404 INK! Look at that beautiful cover! Shout outs as always to Michaela Strachan for her amazing cover design. You can pre-order your copy here. ISSUE 4. We started with Error, let’s end this set with Ink. When we were trying to come up with names for our figurative publisher, one of the names that came up was Error Ink. We hope you agree that 404 Ink is much better. So, it seems appropriate with our first issue being Error, our fourth and last for the time being is Ink. A fatal night shift. A mysterious handwritten letter. A paranormal sexual experience. Bottling ink. Eating ink. Being inked. Ink outside the box. If the pen is mightier than the sword, then ink is the elixir of life... right? Exploring the theme of ‘ink’ has us delving into the deathly depths where ink-expelling creatures dwell and up here on dry land where the ink-wearing and ink-wielding show you there’s more to ink than might meet the eye. We also had a chat to illustrator extraordinaire Neil Slorance, Disney-obsessed tattoo artist Jackie Huertas and debut author Jade Sharma in this latest installment of 404 Ink. Fleur Beaupert, JL Bogenschneider, Valerie Brentjes, Annabelle Carr, F.E. Clark, Neil Clark, Julie Danskin, Darren Forster, Caroline Grebbell, Elva Hills, Gavin Inglis, Steven Ingram, Emery Kennedy, Elizabeth Lovatt, Jonathan Macho, K Mackay, Colm Macqueen, Chris Manson, Allan Martin, Jen McGregor, Suzanne McManus, Johnny Owens, Michael Pedersen, Phoebe Quinn, Mel Reeve, Ashley Rose, Esther Rutter, Hyndland Squawks, Sylvia Tefler, Kevin Williamson and Kirsti Wishart. Looks alright, eh? Don't forget: PRE-ORDER YOUR COPY HERE! PS. We're taking a break after Issue 4 so we can come back with a bang in 2019. We're also revamping our Patreon for subscriptions. It was set up on day one of 404, and we're very different now, so it seems a good time to look at Patreon 2.0! Chris McQueer & 404 win at Saboteur Awards! A lot of voting and one whirlwind trip to London later, 404 return to Scotland with a win for Best Short Story Collection for Chris McQueer's Hings and for ourselves for Most Innovative Publisher! We knew the prize was going to be gin (on top of the kudos) and they couldn't post it to the winners, so we booked a train for the return journey from London especially in case we did win. Thank god we did, eh? 404 Ink bring a DIY, punk ethos to publishing without any sacrifice of quality. Just look at that stable of authors! taking advantage of every inch their small size gives them to punch above their weight, and maneuvre skillfully in a difficult industry frought with way more risk than reward. great work, 404 Ink! Thanks Saboteur to shortlisting us and everyone else for pushing us into the win. We're still smiling days later. Here is Chris accepting his furry award remotely.